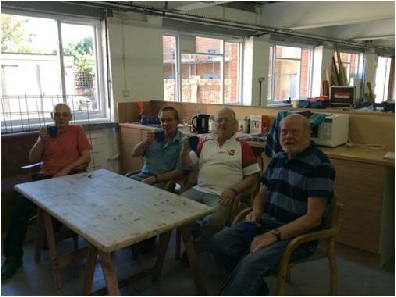 The Halesworth Men's Shed was officially launched in September 2015 and since that time we have gone from strength to strength, and are successfully recruiting new members each session. A Men’s Shed is a larger version of the typical man’s shed in the garden – a place to feel at home and pursue practical interests with a high degree of autonomy. Men’s Sheds are places of skill sharing and informal learning, of individual pursuits and community projects, achievement and purpose. 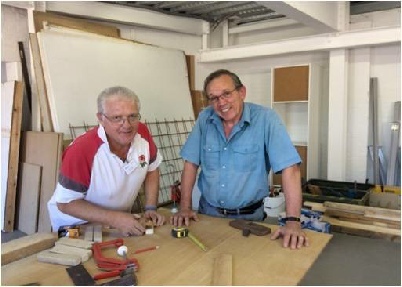 Although initially aimed at the older generation, the Men’s Shed is open to all ages to encourage friendship and provide opportunities for social interaction for men of all different social backgrounds. Halesworth is a town with a growing older population surrounded by many small villages where we know that social isolation and loneliness is a real issue particularly amongst older people. Life changes such as retirement, redundancy or bereavement can also leave men in particular, lacking a sense of identify and purpose. 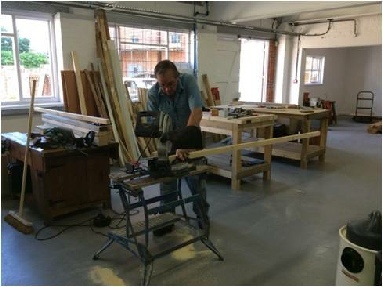 The Volunteer Centre already operates a successful home befriending service with the help of volunteers, but we also recognise that group activities are important in helping people out of loneliness and isolation and believe that the Men’s Shed will offer an invaluable facility in the Town. 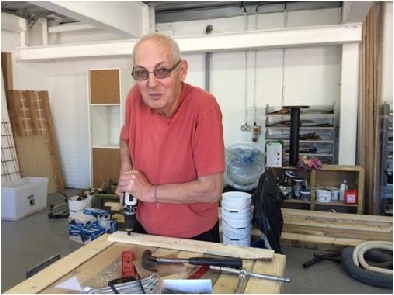 Nationally since November 2013 over 180 Men’s Sheds have opened in the UK and there seems to be no reason why this number will not increase considerably, and for the concept to become an essential part of urban and rural development. Since securing our Norwich Road premises, a great deal of work has taken place preparing the workshop for occupation as a leisure and working facility. There has been great support for the project from many other local organisations, businesses and individuals through donations and gifts in kind. The original “Shedders”, who came together to pursue the project in 2014, have been tireless in their efforts to make it a success; community projects have already been undertaken and quality garden planters produced and sold to raise funds.